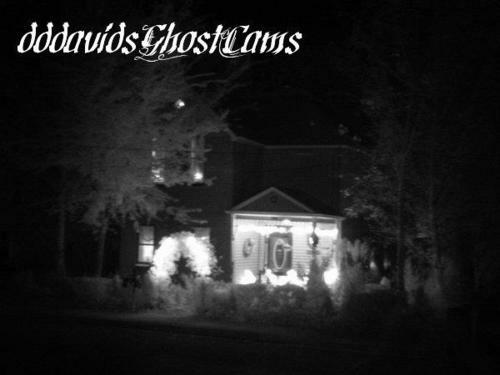 dddavid's Ghost Cams, Live Webcams for Real Online Ghost Hunting, and Paranormal Investigating. Welcome to the Live Ghost Cameras! Poltergeist, all things from the other side. On the World's Most Popular Haunted Webcam Site! occurrences in this house on the site. Hint: Try clicking on the photos for a surprise! capture with me, or your favorite Ghost Hunting sites. and the Yahoo group are property of david. Life is pleasant. Death is peaceful. dddavids GhostCams is one of the best paranormal websites on the net with real cams in a real home. This site revolves around Live Ghost hunting online.That is the process of investigating this location which is haunted by ghosts, spirits, poltergeist, entities. We use its many it's live webcams (ghost cams) running 24 hours a day 365 days a year running continually since 1999, and it's constantly updated blog of paranormal happenings from inside the house. Warning, this is a real haunted house. Join the online ghost hunting web cams. 20 Live Webcams. Topics include: Live Webcams, haunted public web cams, paranormal, Historic, 1800's, Halloween, orbs, web cams live, haunted ghostcams, spirits, real ghost cams, hauntings, real, most haunted, gardens, gardening, live ghost webcams, real ghost, talk to the dead, see spirits, poltergeist, Gothic house, old haunted houses, undead, demons, demonic, afterlife, dead, Halloween, spooky, scary, photos, orbs, shadow people, graveyards, cemetery, Ouija board, seance, Franks ghost box, emf detectors, digital voice recorders, ghost hunting equipment, horror movies, ghost hunting t.v. shows, dead files, travel channel, syfy network, watch online.